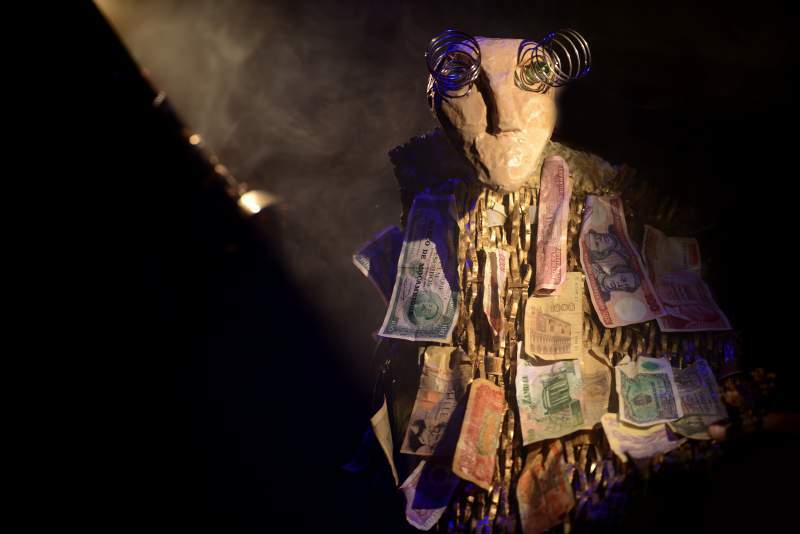 Following its successful debut in March, Moving Parts Newcastle Puppetry Festival will be playing host to what will undoubtedly be one of the most unorthodox shows to grace the Newcastle arts scene at Gosforth Civic Theatre on Thursday 2nd November. Having looked at the title, you might be forgiven for thinking that it’s an elaborate, intellectual, post-renaissance themed sitcom scheduled for the BBC, but Shakespeare vs Molière is actually a considered, charming and particularly poignant show exploring what the eponymous grand playwrights might have made of the current migrant crisis. With puppets, obvs. Peppering the wackiness of two life-sized puppets in the roles of French and English border guards with moments of extraordinary profundity, Shakespeare vs. Moliére explores the grandeur, pain and upheaval of a migrant crisis hitting French and English shores. The highly visual and multi-lingual production intelligently explores the concerns around this modern crisis by drawing on the timeless works of both playwrights whilst still giving a nod to the bizarre theatrics of Avenue Q.
Shakespeare vs. Molière promises to be as poignant and thought-provoking as it is entertaining and diverse, traversing the difficult and somber issues of today’s rapidly changing world with acting, puppetry, music, object-manipulation and projections.